Beth Hardcastle has served as a Regional Coordinator since 2007 and provides ongoing problem solving and technical assistance support to districts across the northern part of the state. 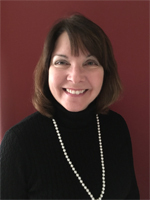 In addition to providing district support for MTSS implementation, Beth also provides statewide training and presents at state and national conferences on topics such as problem solving, MTSS implementation, supporting district leadership, intervention/implementation fidelity, and improving outcomes for students with disabilities. Beth is the co-author of two books: RTI and the Classroom Teacher: A Guide for Fostering Teacher Buy-in and Supporting the Intervention Process (LRP Publications, 2006) and Fidelity and RTI: Strategies to Ensure Intervention Integrity in Your Schools (LRP Publications, 2010). Beth also co-authored the chapter “Integrity of Intervention Implementation” for What Do I Do When…The Answer Book on RTI (LRP Publications, 2007). Prior to joining the Project, Beth was a School Psychologist and the Section 504 Coordinator in Santa Rosa County.